It was in the wee night-time hours of March 1st. With sleep eluding me, I had flipped through the 100 plus channels on the hotel television for about the umpteenth time, only to return back to the same station again, and again and again….The Weather Channel. Perhaps the forecast has changed in the past 20 minutes. I check my layering system laid out on the other bed, walk to the window, and open the blinds a crack too see what the weather is doing in real time. Then I would lay back down in bed, but my mind was not shutting down, as I was thinking, “I am SOOOOOO NOT READY FOR THIS”. Race day gear laid on the hotel room bed. 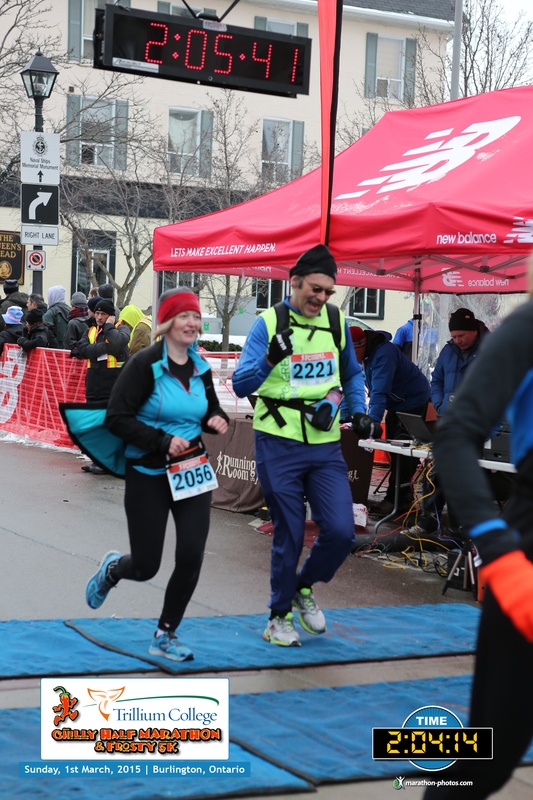 I had registered for the Chilly Half Marathon 4 months ago, mostly as a training run for Hamilton’s 30k Round the Bay race held on March 29th. But a lot can happen in 4 months. For the most part, I took the first two months off running, to give my sprained ankle time for a compete healing following my full marathon last fall. My goal was to begin training again in earnest, once 2015 came around. But shortly into the New Year, I got a gum infection that spread into the jawbone. The problem was that with the exertion of running, or any cardio workout, it seemed to push the infection deeper into the body. Antibiotics did clear it up, only to have it return worse than ever 2 weeks later. This time antibiotics did not work. Into my 4th course of antibiotics while maxing out my pain killers, I had become a lethargic, depressed, tired and grumpy old fellow. Finally 4 days before my half marathon, my dentist eventfully pulled my tooth, a bottom back molar. What a difference, but with only 4 shorter lacklustre runs completed in the past 8 weeks, this half marathon was going too be a HUGE challenge. Shivering in the starting corral. 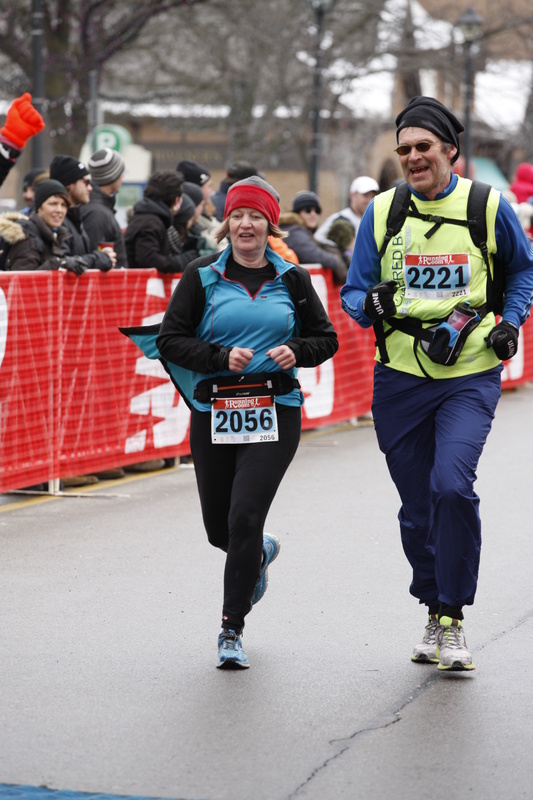 Coming off of the coldest February since 1934, race day temperatures were in our favour, a start time temperature of a more seasonal -8C, with a dampish cold breeze blowing off of the still open waters of Lake Ontario. 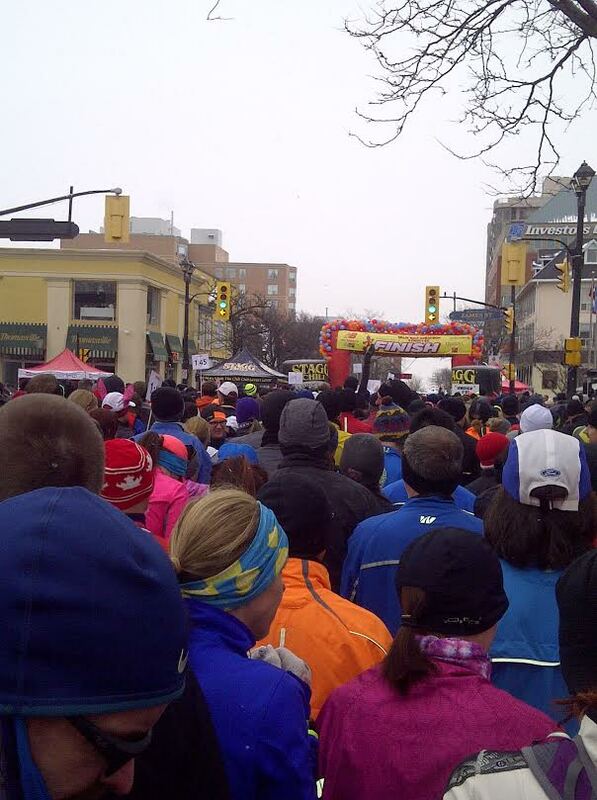 Though shivering in the starting corral, it does not take long to warm up, once the race began. Even though I was not physically prepared, my goal was simply to complete it , nothing more. I picked a pace that I was comfortable with, one that I figured would carry me the distance, with a time I would be happy with. At around 5k’s, I had a pleasant surprise. A lady came up beside me and started talking with me. I was very happy, because in times past, races flew by when I had someone running with me and talking with me. 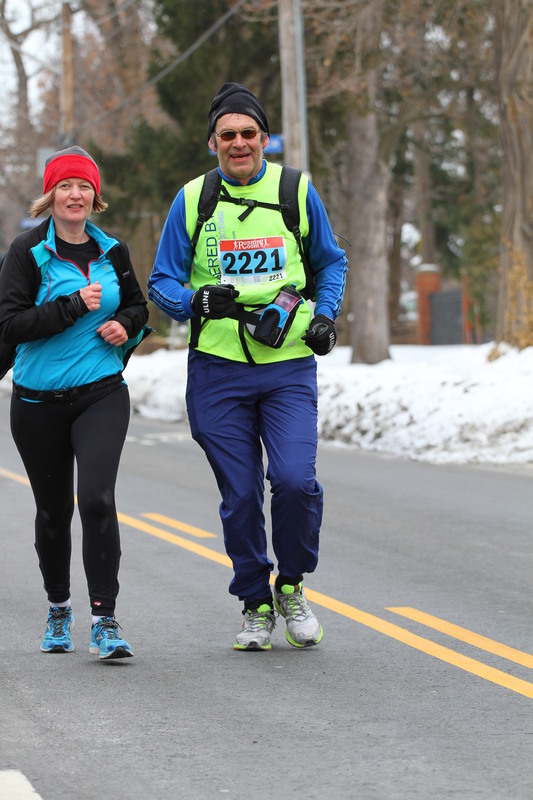 She was very fast, and I had to pick up my tempo big time, just to keep pace with her. Time did fly, and at the half way mark, the thought hit me, if I kept this pace to the finish, it will easily be a Personal Best. I was ecstatic. Very soon however, my lack of training was catching up with me. I was fading, and fading very fast. Desperately trying to keep up, I would lag half a stride behind, then a full stride, and I would lunge ahead to catch up. I could only do this a few times, and at the 14k had to say, “Please, go on ahead”. I am glad she did not hesitate. As I pulled back, she was quickly gone and out of sight, as she weaved her way around the other runners. This lady was a 1st time Half Marathoner. She had SO much focus and determination. I knew she was going to finish very, very strong. As for me, this 9k very fast run from 5k to 14k had taken a toll. I was COMPLETELY out of gas. This was the feeling a runner should have at the END of a race, not with 7 k’s to go. Somehow I knew if I started walking, I would be finished, so mentally I kept pushing forward. While mechanically pushing ahead with each stride, in the corner of my eye, I noticed a runner a half a stride back. Thinking the runner wanted by, I moved over a bit, but the runner did not. She kept pacing with me. I looked over and asked, “How are you managing?”. She replied with a discouraged voice, “These next 6 kilometers are going to be so hard”. Knowing she was probably going through EXACTLY what I was going through, I slipped back to pace with her. We barely talked, but there was no awkwardness at all with our silence. Every stride we were silently receiving strength from each other. The most we did talk in a stretch was maybe about 3 or 4 sentences. I asked if this was her first half marathon. She smiled, and laughed and said she has done numerous ones, including a full marathon last year. Ironically, her 1st ever half marathon, was the Chilly Half, done 10 years ago, in 2005. Each stride was one stride closer to the finish, 5k’s, 4k’s, 3k’s, 2k’s, 1k. Rounding that final bend the lady told me to go on. I said, “No way, we’re crossing that finish line together”. And we did. After crossing that finish line, we high fived and then spontaneously embraced. What a wonderful feeling to be able to finish. Looking at the final results, my new running friend and I crossed the finish line with a clock time exactly the same. (2:05:45.1). About to cross the finish line together at 2:05:45.1, after carrying each other the distance. My chip time was 2:04:14. Life is a lot like running. Sometimes we do make mistakes and have to pay the price. And if we look around hard enough, we will notice people struggling to make it through a bad day, or a bad situation. Our support can make all the difference whether that person will make it or not to the finish. And who knows, maybe some day, WE COULD end up in that situation ourselves. My First Stage Race. The 150k Bad Beaver Ultra. And thanks for sharing your beautiful story with us. Very wise and truthful words to start the weekend with enlightened words. I’m amazed about this chilly marathon. Running is already hard and with low temps makes it even harder. Congratulations on your mental and physical endurance. I wish you a lovely and peaceful weekend, Carl. Thank you so much Lucile for reading and your kind comment. I think, the trickiest part with cold winter running is knowing what to wear…..not too much so that you are excessively sweating, and not too little, so you get chilled and risk hypothermia. You’re most welcome, my friend Carl. Indeed this knowledge is crucial. But as I can see, you are experienced. Thanks for the good wishes. In double for you. CARL!!! You went through all of that suffering, with little-to-no training, in the bitter cold… and you finished with a time of 2:04?!?!?! That is absolutely astounding. You should be proud of that finish time. I love running alone, but I also love pacing with other runners, and the camaraderie that comes with it! Beautiful analogy to life, my friend…I hope you are doing well. Not much longer to go before the weather breaks. Hang in there. Lovely post and as always very inspiring and true to who you are in your love for others. I am so sorry though that in your elderly condition you were not able to run faster… maybe with more training 😉 Hahaaaaa!! Oh no! I’m sorry to hear about this. Much new respect and understanding for dental work. Hope you are feeling better. -Feeling, much, much better my friend! That’s wonderful- I just love it when runners can really connect and are there for each other. Thank you so much Jillian, great to see you here. Really love the connections while running. Definitely would not be the same if I “paced” a stranger who was randomly walking down the street. Despite all my good intentions, I would be regarded as threatening and/or dangerous….LOL. 🙂 you’re funny, but that’s so true! Wow! Great running! You and your complete stranger running partners! Thank you so much Natalie. Not sure if it is a “Canadian thing”, but every race I have run, part of it has been alongside a complete stranger for at least a kilometer. This last one much more, 15 out of the 21 kilometers was with a partner, which was SO cool. Carl, I don’t know why your story brought tears to my eyes, but it did. I love how you tied running to life and we need help and encouragement along the way. This is also true in windsurfing–the constant encouragement from other sailors. Windsurfing is not a competition, there is no racing, etc. Everyone sails at their own pace and level. I think we, as athletes, can be brutal on ourselves to measure up to standards we create. Congrats on your run! I love your comment Terri…THANK YOU! In a city nearby, there is a lake, where in the summer when the wind picks up, the windsurfers will congregate on the water. As part of my commute, I will often bicycle around that bay and watch them. At 1st glance the sport looks really solitary, but then a windsurfer will tip over, and 2 or 3 others will go over to see if they are okay, and/or if they need assistance. Always very touching to witness this. And I TOTALLY agree with you. The standards that we create for ourselves can be brutal, and take the fun out of why we participate in the sports we do. Beautiful and touching. The best I have is finally bringing my voice to life with a song I wrote. I was born deaf and this was the ultimate to me. Your story is beautiful and I enjoyed every word. I’ll be following from now on. I love hearing about your running experience! I just ran my first 5K this weekend and am training for my first half in May. Can’t wait to hear more! Loved that you shared about your running. Thank you so much. Carl I so enjoyed this post. Your time, by my standards, was very good! I did my first and last marathon just over a year ago. If Dave had not run with me I’m not sure I could have made it. I so get what you mean about gaining energy just by running beside someone. Congrats to you! Thank you much Sue for your wonderful comment. I did not know you were are a runner. When you mentioned your “first and last marathon,” have you stepped away from running completely, or just the long runs? I admire you for your fitness level, which enables to travel and hike like you do. Quite ironic Sue, have done 1 marathon and 3 half marathons myself. Hopefully, I will be as good as you, to gracefully pull back when I should and need to. I know that day is coming. I will be 57 in 3 months time, and just started to run when I was 55. That is quite the coincidence! Hopefully you will continue to run for many years ahead in a pace and distance that feels right to you! So sorry to hear about your jaw!! Glad it’s better now. What a fantastic race. You are such a friendly person, both online and in real life. I might remind myself of the lesson of this story when I’m pushing others away and trying to be alone. Life is better when shared with others. What a wonderful story! Thank you so much April for reading and sharing your extremely kind comment. Congratulations! I can feel your excitement to finally cross the finish line after all the troubles! As a running event supporter, I can feel the excitement of every runners when they passed the finish line – and it’s a moving moment when a dream or goal is finally completed after hard training and efforts. No matter how many times you have crossed the finish lines, each moment has different story, challenge and experience. It’s great that you met someone who share the similar goal and to achieve it together! Oh! Good that you finished Carl 🙂 I can understand how a 4 month break can do to stamina and strength.. unintended lessons come your way then! I have observed that running and dancing are the two activities where you can encounter extremely nice and supportive strangers who can end up being your friends for life. Good to know you had the opportunity to meet TWO of such amazing people who helped you cross the line. Prajakta, I am so happy you have started back running a bit. Please do take it easy. Recovering from a knee injury can be SOO daunting. Do you use a brace at all? I do find it helps stabilize my knee when it has been strained. I don’t use a brace. I am not sure if I should – I don’t plan to run many marathons now (the roads and infrastructure isn’t exactly knee-friendly). Baby steps for now. What an awesome story! You fought through so much to get there, and then to both be helped and help another…so inspiring! I love the way strangers come together to assist one another like this, it makes my heart happy. Congratulations on pulling through and finishing in what looks like a great time to me! Well done! Thank you so much Karen, you always drop in with such wonderful comments. Always keeps my faith in our fellow humanity, in how we as humans can pull together to meet a common goal. I loved this so much. It was just the sort of uplifting thing that I needed to hear and remember today. Thank you for sharing and for stating it so beautifully! Becca, thank you SO much for such a touching comment. After a long work day, it meant so much to me to see this message..Thank you again. Love it. You described the ways we can come alongside and journey together so wonderfully, C. Hope you’re feeling better, too. Thank you Diana, I am feeling much better. Thank you so much Kate for stopping by, and for your kind words. this is a very inspirational story ! Awww, thank you for sharing this so honestly. 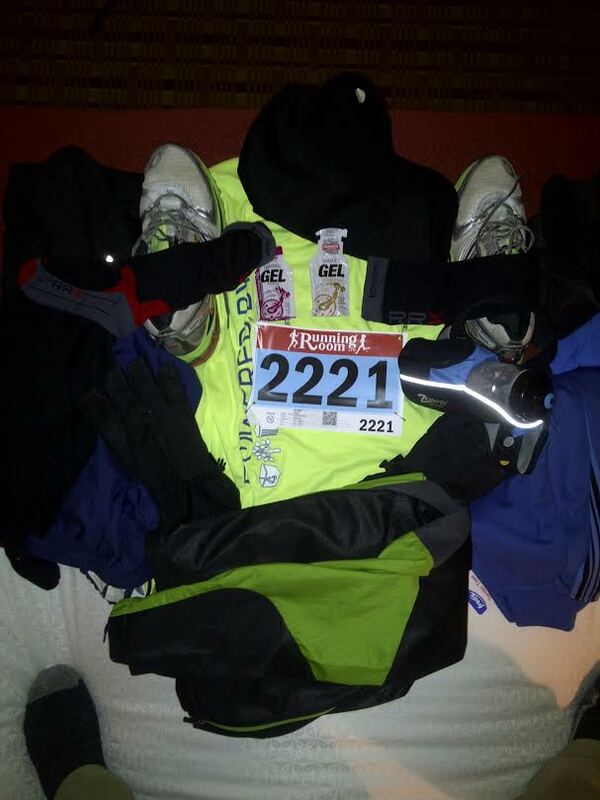 And what an amazing friend you are, to do this for your friend, even though running is not your thing. You also have incredible grit to manage those 5 km’s when your heart would not be in it. This is a lovely story! Thank you so much Judith. It is really nice to see you. Hope you are keeping well! Too often the race of life is treated like a competition. I found it refreshing that an actual race was an opportunity to encourage each other. We need more of that spirit outside the confines of a timed 1/2 marathon. Debbie, I really appreciated your comment. As a Christian runner, I want to have a good run in these timed events. But what constitutes a “good run?” We live in a world where our earthly minds can become so muddled when it comes to heavenly things. So many verses, “We are made great by becoming little” Luke 9:48 “We are exalted by being humble” Matthew 23:12 “We reign by serving” Mark 10:42-44, just to name a few. It is a constant learning process, and I too often get caught up in the stats. I always need to commit these timed events to God, this is His race. Very inspiring – your humility, honesty and heart. In the mental battle of running a race, the significance of participating is victory enough, but you finished well! God bless! Sorry about your jaw. I should know how that feels because I pulled out a teeth sometimes back…. And your story reminds me about “two is better than one” in the bible. Things get a lot easier to bear when your not alone, like drawing strength from the other.. I love this. Kate, that is so wonderful you were able to run nearly the entire distance with your dad. How I would LOVE to run with my children, but they are just not into running….LOL. Every runner is different, but for myself, I always really enjoy having someone to run with. It really does take a lot of training, just for those few hours of racing. Last year I had 2 events, a half marathon and a full marathon, a LOT of training, for the 2 medals. This year thought I would run more official events, and include it as part of my training, and have more “bling” to show for all the hard work, and am really enjoying this already. It seems to help keep the motivation up (a 10k event this Saturday). Running shorter races while training is a great idea. Good luck on your 10k this weekend! What a great story. Love Love. And your finish time is still impressive to me.